Los Angeles, California is a city known for its glitz and glamour, home to the stars and an amazing nightlife. It also has a lot to offer couples looking for a romantic activity--restaurants, hotels, scenic areas and theaters are all great date options within the city. Which ever way a couple likes to spend their time together, LA has something to accommodate. 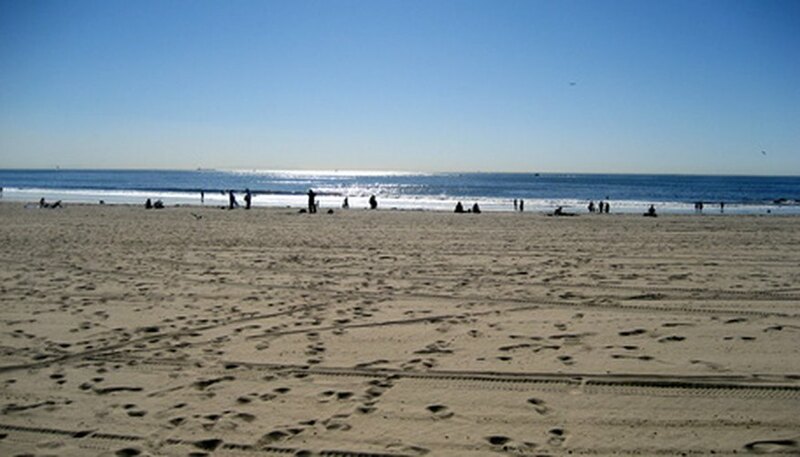 Los Angeles has numerous beaches for those interested in a romantic stroll. Bistro LQ offers an upscale dining experience using quality ingredients. The menu offers a range of French Cuisine, including classics such as frogs legs and duck. The decor of Bistro LQ is regularly changing, as the restaurant's owners bring in a showcase of local artists' work to cover the walls. The quality food and service combined with the work of talented artists help create a romantic atmosphere. Located just over 20 miles from downtown Los Angeles, the Beach House Hotel in Hermosa Beach offers guests scenic ocean views and access to local beaches. Outdoor dining overlooking the ocean as the sun sets creates a romantic atmosphere. Moonlight walks on the beach are another possibility for couples staying at the hotel. The hotel spa offers a range of massages and treatments to make for a relaxing stay. The Griffith Observatory opened in 1935, and has been an attraction for star gazers ever since. The observatory is not only a site for learning about the stars and the heavens, its location also gives it a romantic atmosphere. Its high elevation makes it a perfect place to look out across the city of Los Angeles and out to the ocean. Spending an evening watching the stars or the lights of the city from above could make for a romantic experience. The Dorothy Chandler Pavilion is part of Los Angeles Music Center Plaza. It is a lavish theater that has played host to huge stage and musical productions, as well as being the home of the Oscars Ceremony. Couples who share an interest in orchestral performances, opera and classical theater might well find a date night option at the pavilion. Hayden, Nancy. "Romantic Things to Do in Los Angeles." Dating Tips - Match.com, https://datingtips.match.com/romantic-things-do-los-angeles-7156889.html. Accessed 18 April 2019.